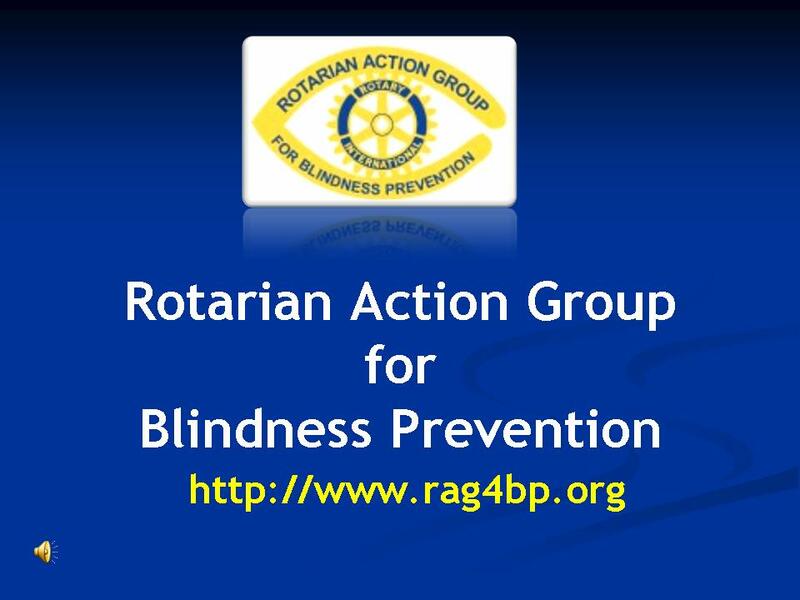 To bring together, in fellowship and service, those Rotarians who have an active interest in the prevention of blindness and the promotion of eye health and vision worldwide. To provide both a platform and a forum to discuss ideas and develop appropriate cooperative programs to further our shared goals. This Rotarian Action Group operates in accordance with Rotary International policy, but is not an agency of, or controlled by, Rotary International.